We’re having a tough time dealing with obesity. Progress is uneven. Prevalence is still rising. The National Academies Roundtable on Obesity Solutions spent a good chunk of this week talking it over. At the end of two days, Chairman Bill Purcell offered a tidy framework for thinking about three hurdles for actually dealing with the problem of rising obesity. For the most part, most people have cleared this one. Diseases that result from untreated obesity are rising. The U.S. is hurtling toward 100 million people with type 2 diabetes. We learned this week that healthcare costs arising from obesity are up by 29% – and they were already pretty staggering. The only dissenters from this view are folks who want to argue about the definition of obesity. Their straw man argument is that BMI defines obesity, but BMI doesn’t define health. So in that construct, obesity is just a paradigm to justify weight bias and discrimination. Fortunately, we can acknowledge that discrimination based on weight – or for that matter, health – is evil and just move on. Arguments about BMI are a circular distracton. This one’s tougher to clear. The O word – obesity – is so loaded with stigma that people run from it. Nobody wants that diagnosis. It’s more of an insult. So doctors talk around it. People might kid themselves about their health status and avoid healthcare providers. And there’s a good reason. Those providers are more likely to disrespect people with obesity than to help them with it. Bias and discrimination gets in the way of admitting that obesity might be my problem. We can take this hurdle. It might be true that obesity is a problem that will never let us go. But still, we have plenty of tools for dealing with it. Though the tools are far from perfect, they are steadily improving. Healthcare professionals and health coaches can help us tune up our lifestyles in ways that will improve our health for the long term. The Diabetes Prevention Program is just one of many roadmaps with a mountain of evidence behind it. Dietitians can be especially helpful. Medical weight management is an option that is steadily getting better. FDA-approved drugs for obesity can help with maintaining a healthier weight and improving some of the risk factors that obesity brings. And finally, bariatric surgery can be life changing for people who need it. In folks with both type 2 diabetes and obesity, it provides the best odds of putting diabetes into remission. The main problem with this last hurdle is ignorance. False information, bogus diets, and snake oil peddlers compete with the real science of obesity care. But ignorance is curable. And ignorance is a close relative of bias and discrimination, our other foe. 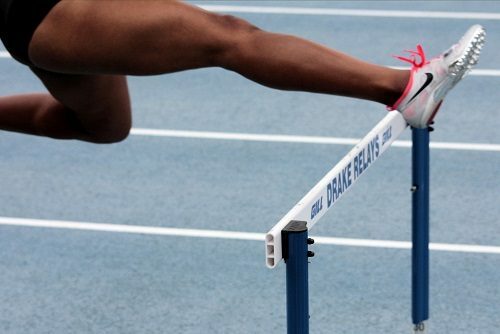 So have no doubt, these hurdles are ours to clear. Respect and knowledge give us the power we need. If you’re looking for tools of knowledge and power, you can make a good start with the Obesity Society and the Obesity Action Coalition. For more on what we should be doing, click here. We don’t have tools to deal with obesity – short of surgery. Honesty is the best policy. Substitute “black” or “poor” for “obesity.” It is a “problem” but there is no cure. We definitely have no cure. But we definitely have some tools to help. I don’t favor letting the perfect become an enemy of the good. Ted, thanks once again for a great summary. I am speaking at a national conference and this is by far the most compelling summary I have seen and look forward to referencing it heavily! And of course, I agree wholeheartedly – if we wait for “better” treatment that is all paid for we miss the opportunity to help people NOW. As a clinician with an obesity practice – it can be a difficult time but then I remember when diabetes had VERY few options and it didn’t stop us from partnering with those patients to improve their health. Thanks, Angela! You bring some excellent perspective here.